President Barbara Bowen's statement on the Legislature's return to Albany to address "tax reform"
The Legislature and the Governor have an opportunity to enact real, progressive tax reform and to spare millions of low- and middle-income New Yorkers from the continuing injustice that is built into the current State budget. For the sake of the 99% in New York—including thousands of CUNY students—they must not squander their chance. They must retain the “millionaires’ tax” or implement a new tax on the 1%. Call Albany Right Now! Demand Real Tax Reform. After months of pressure from grassroots campaigns and occupations, Governor Cuomo has finally signaled his willingness to “restructure” the state tax code as part of a larger economic plan. Lawmakers are in Albany this week, meeting in conference and preparing for a possible special legislative session. Now is the time to press for an end to policies that put the interests of the rich and super-rich above the needs of CUNY students and millions of other ordinary New Yorkers. 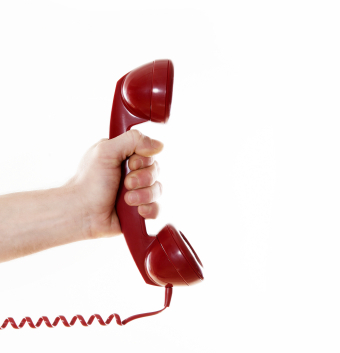 Call your Assembly Member and your State Senator right now via the AFL-CIO action line. More than a thousand CUNY students, faculty and other supporters rallied outside Baruch College Monday afternoon protesting tuition hikes and the use of violence last week by campus police against student protesters who were prevented from entering a public hearing of the Board of Trustees. “We need to show solidarity with students,” said a faculty member from QCC. Dave Newman of NYCOSH will present an Anti-Bullying Seminar at City Tech on Wednesday 11/30/11 from 4:00 to 5:30 PM. N 517, All union members are welcome. Important Info about Adjunct Assignments and the 2012 Winter Session. 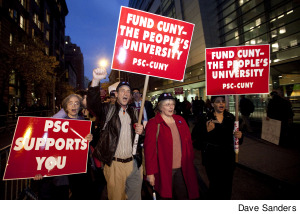 PSC entered into side letters of agreement with CUNY which modify existing terms of the collective bargaining agreement for Winter 2012 concerning observance of New Years Day and winter assignments for adjuncts. The PSC is planning to mobilize our members in an informational picket and demonstration outside the Board of Trustees meeting on Monday, November 28 in defense of CUNY students, in defense of the right to peaceful protest, and in support of the other positions the PSC has taken on issues before the Board. I urge all PSC members to join us in this action. In particular, the PSC officers call on members who are experienced activists to attend the demonstration and show support for students who wish to engage in peaceful protest. Last night, peaceful protesters—CUNY students speaking out against unfair tuition hikes and the privatization of public higher education—were shoved by campus peace officers with batons and reported being hit as the CUNY peace officers forced them out of the lobby of Baruch College’s Vertical Campus. Read the PSC's statement. New analysis of the state’s most recent public tax data by the Center for Working Families shows that those who make $1 million or more a year disproportionately live in Manhattan, Westchester and Long Island, with very few millionaires living in regions across Upstate New York or in the outer boroughs of New York City.